Creating Beautiful Smiles for Wichita Area Patients Since 2005!Our patients come to us from all over the greater Wichita area because they know that when it comes to compassionate dental care with a steady and gentle touch, there’s no place else quite like Baxter Dental Associates. We’ve helped hundreds of patients gain confidence and improve their self-esteem through high-quality cosmetic and restorative dentistry. 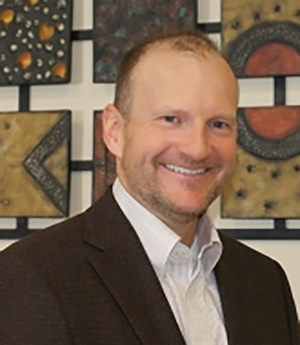 Dr. Steven Baxter was born and raised in Wichita. He attended Wichita State University, receiving a bachelor’s degree in nursing. He practiced nursing in the newborn intensive care unit at Wesley Medical Center for eight years. Following this, he attended Creighton University in Omaha, Nebraska, where he earned his DDS degree. Dr. Baxter has been creating beautiful, healthy smiles for his patients since 2005. His goal is to provide optimal preventive and restorative care in an environment where patients always feel safe and welcome. 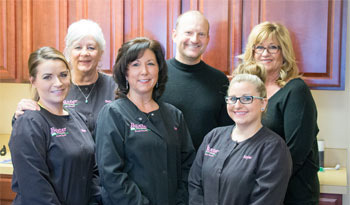 Our friendly team of dental professionals is here to help you with your all your dental care needs. We look forward to meeting you and helping you with any dental needs you may have. Contact us today at (316) 773-6161 to make an appointment.